Cook the broccoli in salted water for 10 minutes (not longer, it'll fall apart and go mushy). Melt some butter and olive oil in a pan and cook the onion over low heat for around 5 minutes until soft (don't let it go brown). Drain the broccoli and add to the onion, stir, then add the cream. Continue to cook on low heat for another 5 minutes. Transfer to a food processor and buzz into a puree. Season with salt and pepper. Cook the pasta until al dente, then stir through the broccoli cream. 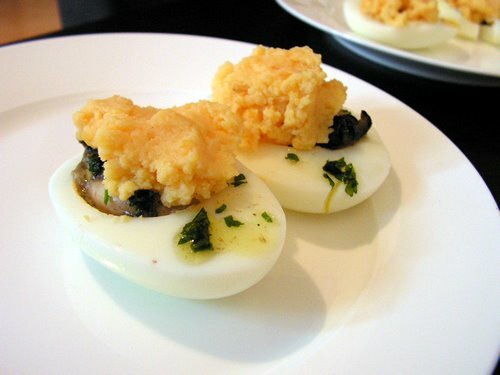 Serve with Parmigiano Reggiano. Tip: After cooking the broccoli, reserve the water and use it to cook the pasta in. 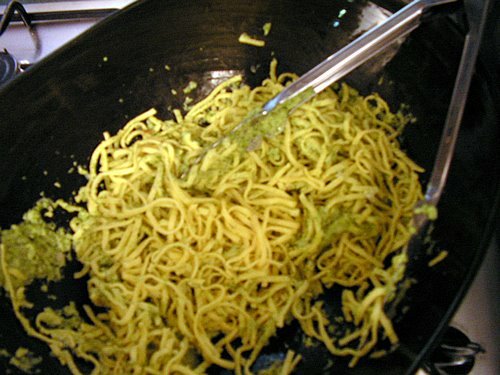 If you use thin pasta like taglioni, it should only take around 5 minutes to cook, and in this time you can cook the broccoli with onion, so it saves a lot of time. Also reserve some of the cooking water after you drain the pasta and use a few Tablespoons to keep the pasta fresh and from sticking together. Afterwards we watched the women's tennis while eating too many Lindt balls. Next on the to-do list: improve food photography. To be on par with Delicious Days. Yum! Sounds great. I'm interested in the pasta recipe - can you post it or email it to me? Thanks! The food looks delicious! What a lovely evening you had. I'd like the recipe as well. Fantastic, I've updated the post to include the recipe. You'll love it! That pasta recipe sounds wonderful. I'm going to try it soon. Thanks for sharing. I love having friends over for a simple dinner. And the wine was good too - love a Margaret River red. love brocolli pasta. Tip: next time throw some toasted pinenuts through it. Gorgeousis. Was going to buttercup but wanted to stay authentic to the recipe for this first time. Next time, definitely. OMG OMG OMG Freddie Is Back!